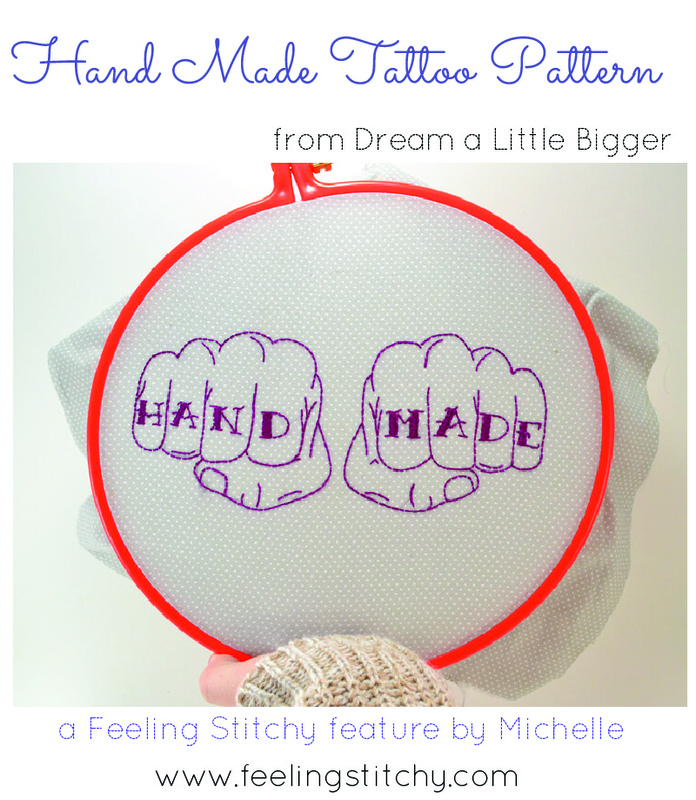 This week I am featuring a free pattern from the Dream a Little Bigger blog by Allison Murray. Click here to be taken directly to the Handmade tattoo pattern and start stitching it now!! 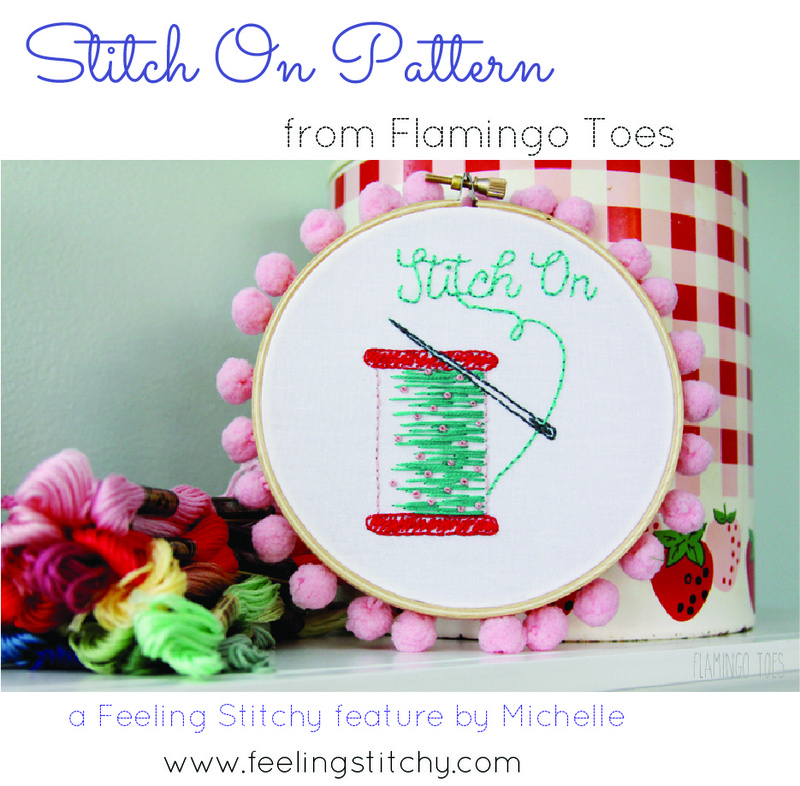 When I came across this really cute free "Stitch On" embroidery pattern from the Flamingo Toes website, I knew I wanted to feature it here! Click on this link for the free pattern - and full stitching instructions - including DMC thread color suggestions. For more from Bev at Flamingo Toes - check out her Instagram, and the Flamingo Toes website for all things embroidery, sewing, crochet, etc. Oh - and the Flamingo Toes Designs shop for embroidery and quilt patterns! 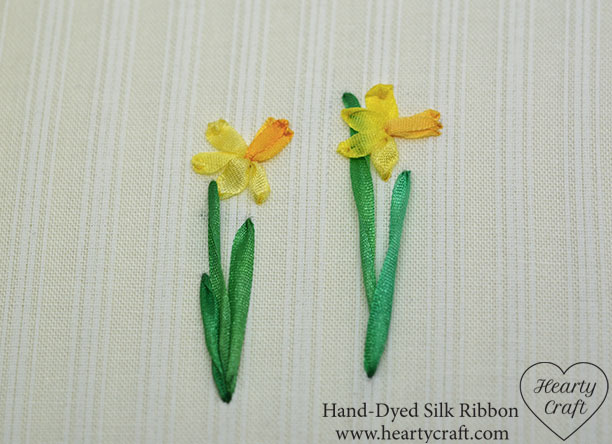 This week I am featuring a great silk ribbon daffodil tutorial I found on the Hearty Craft blog. Click here to be taken directly to the the daffodil tutorial. 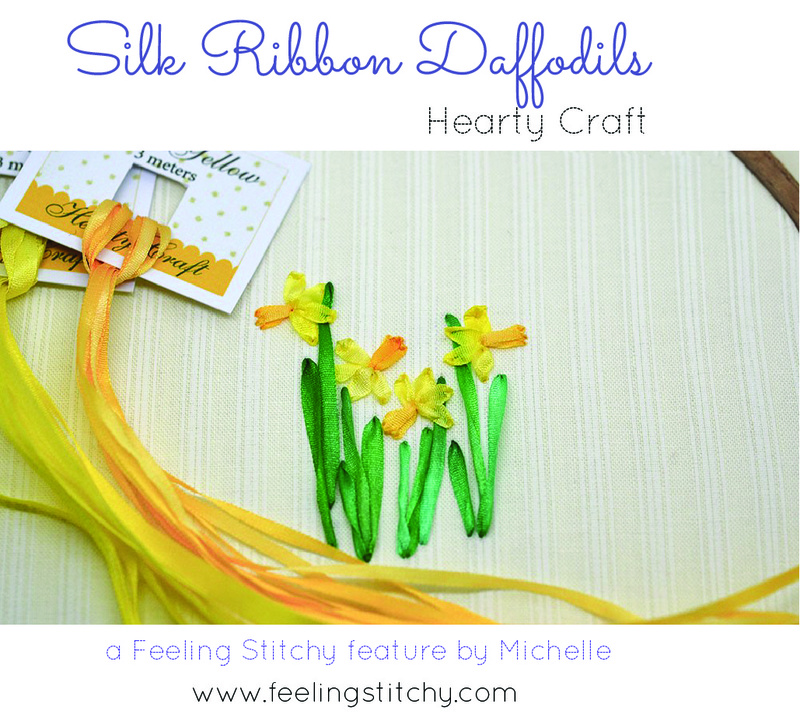 Hearty Craft is run by Zinaida Kazban - check out her Instagram for amazing embroidery, the Shop for hand-dyed silk ribbons, and the blog for even more silk ribbon embroidery tutorials!